Easter wouldn’t be complete without a visit to the bunny. 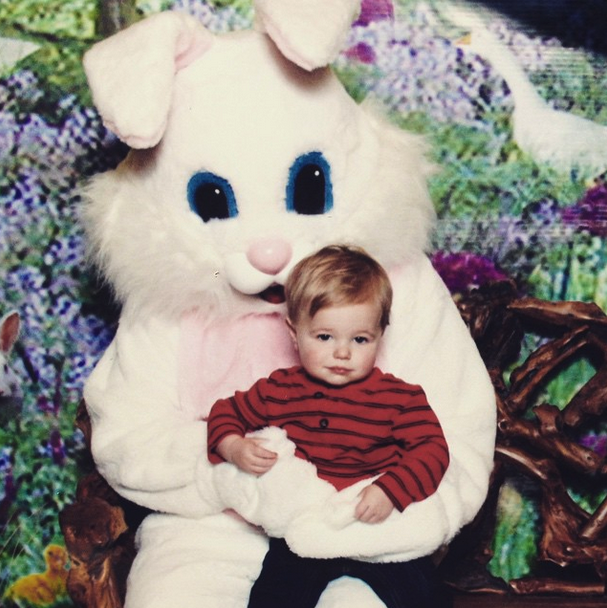 Everett was #notimpressed. Hope you all have a blessed Easter filled with family, friends and jelly beans! This entry was posted in Holidays and tagged Easter, Easter bunny. Bookmark the permalink.